Now in its eighth generation the ever-popular VW Passat is still growing in stature and all-round appeal. There are enough choices of engines, transmissions and body styles to suit every need. With SUV-mania sweeping the car industry, it’s sometimes nice to get back to basics and the VW Passat Estate offers that opportunity while delivering a gentle reminder that practicality needn’t impact upon performance. Now, I’m not saying there is anything basic about the larger-than-life Passat Estate, especially in near-range-topping GT guise, but it makes a very pleasant change to drive something that’s not high-sided. With a price-tag of £33,085 (£40,170 with options), the Passat Estate has quite a road presence thanks to its lengthy streamlined styling, tinted rear windows, daytime running lights, dynamic rear lights, chrome decorative trim, roof rails and 18-inch alloys. Move inside and the interior is modern and clutter-free in its layout, but there’s a wealth of technology on board with the likes of a Discover Navigation system with eight-inch colour touchscreen, DAB digital radio, eight-speaker sound system, full smartphone connectivity via Apple CarPlay or Android Auto, plus internet access for weather updates and the latest news reports. Similarly to Audi models, this car features an Active Info Display that allows you to personalise the details you see in front of the steering wheel with the choice of traditional dials and readouts, or the likes of navigation directions and phone contacts being just a few of the possibilities. The upholstery is a combination of leather and Alcantara and there are brushed aluminium decorative inserts in the dashboard and doors, plus piano back trim on the centre console that all help give the car an upmarket, quality feel to it. There are lots of soft-touch surfaces and the ambient lighting is another neat feature – our car also featured, as an option, ergoComfort front seats that introduced 14-way power adjustment with memory and massage settings. Clearly anyone choosing to drive a car that measures more than 4.7 metres in length will be looking for excellent levels of practicality and versatility and the Passat Estate delivers on all counts. The boot has a capacity that ranges from 650 to 1,780 litres with the 40:20:40 split-folding rear seats dropped flat and that is large enough to carry a mountain bike without removing the wheels. 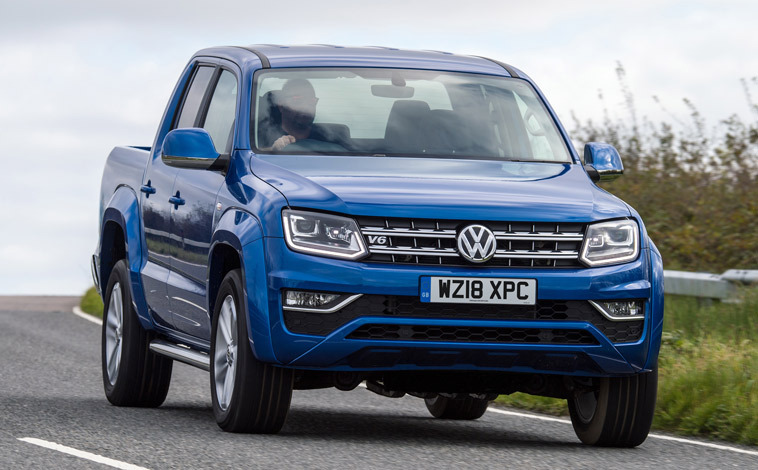 Elsewhere, the storage options throughout the cabin are also impressive with deep door bins, a decent-sized glovebox, cup holders front and back, a central cubby box and some handy trays. Powering this giant of a car was a 2.0-litre 190PS diesel engine mated to a seven-speed automatic DSG gearbox. It could sprint to 62mph from a standing start in a very respectable 7.5 seconds, topped out at 146mph and could deliver combined fuel economy of 48.7mpg (WLTP) with carbon emissions of 120g/km. When it comes to performance, the Passat Estate strikes all the right chords. The acceleration through the automatic transmission is both smooth and responsive with steering wheel-mounted paddles when you fancy taking over the gear changes. You can flick through driving modes called Eco, Comfort, Normal, Sport and Individual that alter the way in which the car responds, but whatever the setting, the ride and handling is most impressive. This is definitely a car with driving dynamics that belie its dimensions with instant responses out on the fast moving country lanes as it fires through the twisting bends. The road holding is excellent and there is no sign of any body sway into tight corners. It also eats up the motorway miles with ease making it a great choice for fleet managers and it proved deceptively agile when manoeuvring through busy city centres, although you will need an extra long parking space. The Passat Estate is nicely refined with barely any engine, wind or road surface sounds filtering through into the cabin, and the effective suspension system does a fine job of smoothing out any bumpy road surfaces. The driver benefits from excellent all-round visibility and there is space in the back for three adults to travel in comfort with light flooding in via the panoramic sunroof making for a bright and welcoming cabin environment for all occupants. 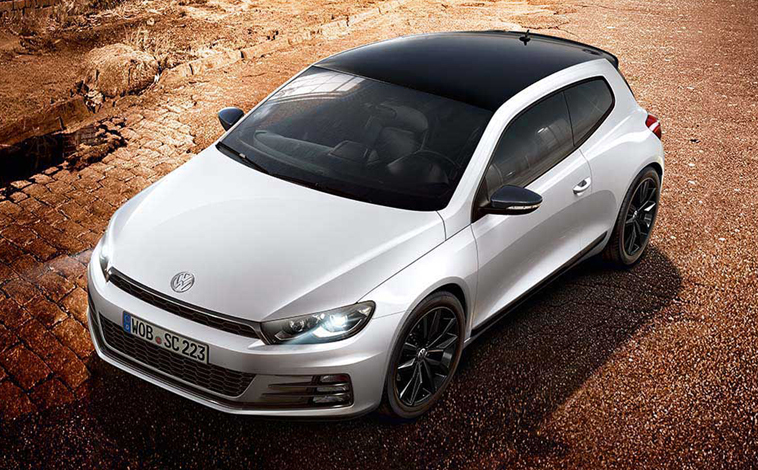 As one would expect from a VW, the car boasts all the latest safety specifications, including anti-lock brakes with brake assist, automatic post collision braking, driver alert, electronic stability control, pre-crash prevention and a full suite of airbags. Our test car had an optional Driver’s Assistance Pack Plus costing £1,255 extra that added the likes of lane assist, predictive pedestrian protection, high beam assist, blind spot warning and traffic sign recognition. It’s also worth noting the Passat Estate is ideal for towing a caravan or trailer and for £920 a swivelling towbar with electric release can be added. And Trailer Assist including Park Assist, costing £490, is available to help you reverse a trailer into its allocated bay. All in all, the VW Passat Estate is a very attractive package and is proof that there is still life in the good old estate car. It may not be the fashion statement that many SUVs are these days, but it drives beautifully, is packed with technology, it’s economical to run, comfortable, quiet to drive and yet still covers all the practicality bases along the way. Larger-than-life estate cars often earn the rather unappealing label of glorified load-luggers and in fairness it’s a title that is pretty well suited to many models. But that’s certainly not the case with the Volkswagen Passat Estate. That’s because despite still offering all the practicality and versatility that a giant estate car should, the Passat is exceptionally stylish with a number of classy design cues and a whole host of impressive on-board techno treats to be explored. The all-new eighth generation Passat Estate looks fresh and modern both inside and out and there are numerous aspects to attract the eye, including sleek streamlining, 17-inch alloys, roof rails, front fog lights with cornering function, daytime running lights, smart body-coloured door mirrors with integrated indicators and sweeping headlight clusters. Step inside and the cabin environment is completely clutter-free, yet it remains feature-rich with the likes of heated seats, a heated steering wheel, MirrorLink to connect up to all smartphone services via a 6.5-inch colour touchscreen, sat nav, Bluetooth, a 3Zone climate control system, a multi-function flat-bottomed steering wheel, an eight-speaker sound system with CD player and DAB radio, plus lots more besides. The instrumentation is ideally positioned for driver usability and the technology is very simple to operate. However one slightly irritating factor is the steering wheel heater which is automatically activated when the driver puts their seat heater on – an extra button that appears on the touchscreen needs to be pressed in order to turn it off. But that aside; it really is difficult to find fault with the Passat Estate. The all-round comfort levels are very high and there’s room for a small army inside the vehicle along with all their kit. The boot, with its adjustable floor, can cater for 650 litres of luggage which can easily be increased to a whopping 1,780 litres with the split-folding rear seats dropped flat. Elsewhere there are numerous handy storage options including a good-sized glovebox, cup holders, a deep central bin and practical door pockets. 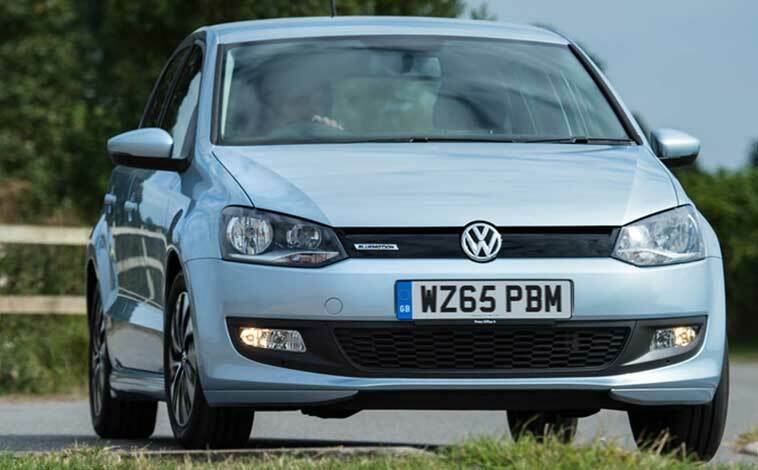 The test car, in SE trim grade, was powered by a 1.6-litre 120PS diesel engine mated to a six-speed manual gearbox. Despite its considerable dimensions the Passat Estate is actually quite agile and proved far easier to manoeuvre than I expected. Admittedly, you will need an extra lengthy parking space to accommodate the 4.7 metre long vehicle, but the rear parking camera along with sensors do make the process a little simpler. 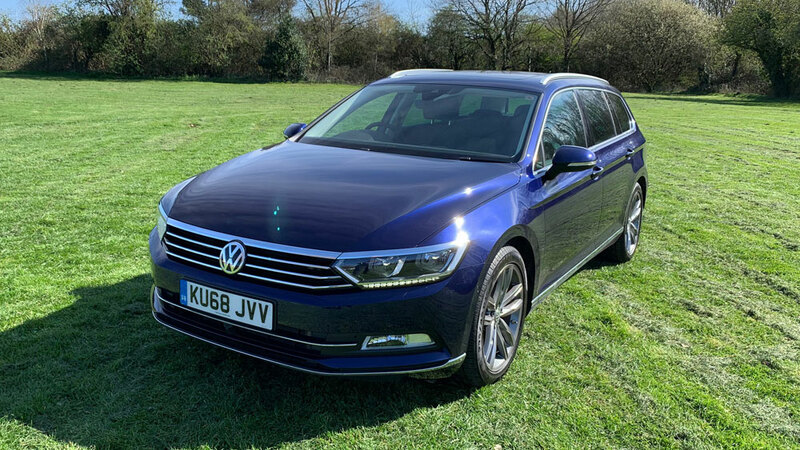 But in all honesty, the Passat Estate is a car that will be snapped up by business drivers up and down the country who clock up the seemingly endless motorway miles and it’s in that particular field that the car truly excels. The acceleration, road holding and all-round dynamics are ideal for lengthy journeys where a steady pace is required but short bursts of speed are not out of the question. With that in mind, the Passat Estate can sprint to 62mph from a standing start in 11.0 seconds and onto a top speed of 127mph. But by observing some of the fuel saving tips such as gear change prompts and maintaining low revs when braking, the car can deliver a combined fuel economy of 68.9mpg with carbon emissions of 107g/km and they are figures to put broad smiles on the faces of fleet managers. And as one would expect, VW has also ensured the car is packed with a comprehensive list of safety features including anti-lock brakes with brake assist and electronic brake pressure distribution, electronic stability control, a trailer stabilisation function, traction control, automatic post collision braking, numerous airbags and lots more. All in all, the Passat Estate is a clear example of very practical car that still has plenty of all-round appeal and at £25,665 (£29,170 with options) it’s a car that is kind on the pocket too. Despite reaching its early 40s the VW Passat is looking fresher than ever and the latest eight generation model boasts eye-catching good looks, state-of-the-art technology and a range of ultra-efficient engines. And it’s these attributes that make it a perfect all-rounder with all the comfort and practicality to suit any family needs along with the driving dynamics and economy to tick any business driver’s wish-list. And that’s why VW can be very confident that the latest incarnation of the Passat will add significantly to the global sales figures that already top the 22 million mark. The car looks striking from any approach. It’s smart without being garish thanks to 17-inch alloys, front fog lights, body-coloured door mirrors with integrated indicators, daytime running lights, smart chrome trim and very sleek streamlining. And that classy, stylish theme continues once you take your seat (heated) behind the multi-function steering wheel – which can also be heated! The generously-equipped interior boasts the likes of an excellent audio system with CD player, DAB digital radio with eight speakers, a 6.5-inch colour touchscreen, adaptive cruise control, Bluetooth connectivity, sat nav and parking sensors. The test car was fitted with a number of optional extras that bumped up the asking price to £29,785 from £25,135 and these included a MirrorLink system to connect up an android phone which is mirrored on the touchscreen, sound insulating glass, Park Assist which will help with parallel or bay parking plus lots more besides. The new Passat is 2mm shorter than the outgoing model, yet it offers additional interior space with extra leg and head room. And storage limits have also been increased with current saloon models capable of accommodating 586 litres of luggage – 60:40 split-folding rear seats help increase the capacity further. The interior has a premium quality and very modern feel to it with all controls, dials and readouts perfectly positioned for driver-usability and a slim-looking air vent that stretches the length of the dashboard accentuates the car’s fresh styling. But good looks and great techno treats are not enough to meet customer demands these days – they want it all and that includes great economy figures. And the new Passat certainly delivers on that count too. Despite the test car boasting a 0-62mph sprint time of 8.7 seconds and a top speed of 136mph, it can achieve a very impressive 70.6mpg on a combined run with carbon emissions of just 106g/km. And it’s those frugal figures that keep the vehicle in such high demand amongst fleet drivers. However, thankfully the handling and driving dynamics haven’t been compromised in the slightest and the Passat is still an absolute dream to drive. The driver can choose from five different driving modes with Eco helping to achieve those impressive economy stats and Sport livening up the ride and responsiveness of the car as it moves effortlessly through the six-speed manual gearbox. In busy town centres the Passat offered great all-round visibility. It was agile and easy to manoeuvre and the Park Assist function will make anyone look like the complete professional when squeezing into tight spaces. Then out on faster country lanes and motorways the 2.0-litre diesel-driven engine delivered plenty of bite with a constant supply of power on tap. The road-holding proved flawless and made light work of tight bends and improvements to the vehicle’s insulation are evident by just how quiet the interior is even when the car is pushed quite hard. And when you take into account the impressive range of safety features fitted as standard to the new Passat to protect occupants and pedestrians alike, it really is a very attractive all-round option. With 22 million sales globally, there’s no denying the success story that is the Volkswagen Passat and now that all-round appeal has got even greater. Over the last 41 years, the Passat has evolved and improved and the latest eighth generation model is guaranteed to become the cream of the crop. And to ensure the sales boom gains momentum, VW has really upped the ante. In fact the entire car is new from the design, engines and technology – it has shed some pounds and that 85kg weight reduction results in improved efficiency with fuel economy up by 14 per cent – a factor that will certainly appeal to business drivers. Although the new Passat is 2mm shorter than its predecessor, interior space has been increased with extra leg and head room plus with an increase in luggage capacity. The saloon boot now has a capacity of 586 litres (an increase of 21 litres) and the estate is up by a whopping 47 litres to 650 litres or 1,780 litres with rear seats folded flat. Buyers can select from five trims – S, SE, SE Business, GT and R-Line – with all specs offering a rich level of technology and creature comforts as standard with additional luxury and techno treats being introduced as you move up through the range. 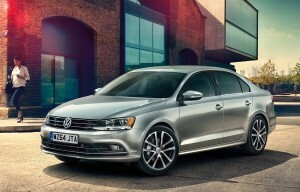 The new Passat is priced from £22,215 for saloon models with a £1,530 premium for the estate. 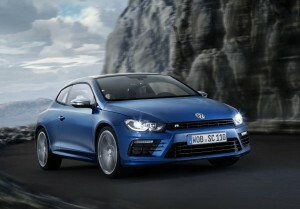 Initially, the car will only be available with a choice of diesel engines (this currently accounts for 99 per cent of sales) which range from a 1.6-litre 120PS, through two 2.0-litre units with 150PS and 190PS to a range-topping 2.0-litre bi-turbo with 240PS with DSG gearbox and 4MOTION all-wheel-drive. Later this year a plug-in hybrid model will join the range along with a 1.6-litre diesel BlueMotion model and an Alltrack version of the estate. First impressions are vital and the Passat looks great from any angle with its sporty streamlining, neat alloys and sweeping light clusters which now include daytime running lights as standard. And the interior build quality is reassuringly and typically VW with a nice solid feel and plenty of technology to be explored. It is bright, spacious and there is easily enough room for five adults to spread out in comfort. The slim dashboard is accentuated by the innovative air vent that stretches the entire width of the interior and this sweeping effect is only interrupted by instruments and the analogue clock in the centre of the dash. All the instrumentation is clear and user-friendly with an excellent infotainment system to keep occupants connected on the move. And from mid-2015 the Passat will become the first VW to be equipped with a head-up display. Other significant improvements include a whole raft of safety innovations such as the city emergency braking that now detects pedestrians as well as other vehicles, emergency assist which senses a medical emergency if the driver becomes ill and as a result the car brakes, remains in its lane and alerts following drivers. Then there is the trailer assist pack to help when reversing a trailer or caravan into tight spaces and anyone who has towed a caravan will know just how valuable this technology is. As the majority of Passat sales will be to fleet buyers and VW believes the most popular model will be the estate version in SE Business trim powered by a 2.0 TDI 150PS powertrain with six-speed manual transmission, this is the model we focused on for our test drive. The car carried a price-tag of £26,665 (plus £3,310 optional extras) and can sprint to 62mph from a standing start in 8.9 seconds and onto a top speed of 135mph. 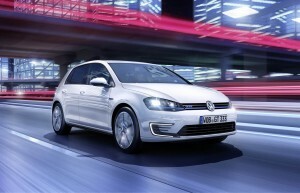 According to official figures it can deliver 68.9mpg on a combined run with carbon emissions of just 107g/km. 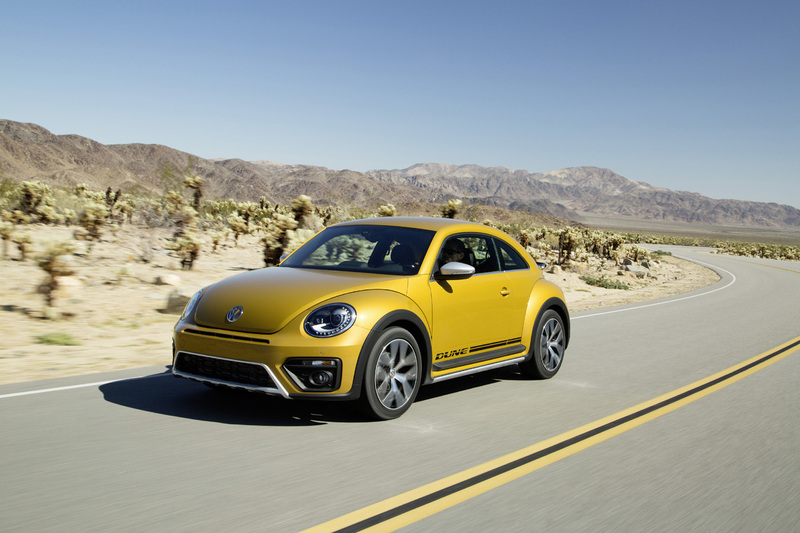 VW is a strong believer in asking existing customers for feedback and then acting upon the responses. One area business drivers were consulted on was comfort and as a result some new Passat models feature an ergoComfort driver’s seat with cushion tilt adjusts, thigh support and electric backrest adjustment. The average business driver clocks up 17,000 miles each year and this attention to detail will be very much appreciated. From the second you take your seat behind the flat-bottomed leather steering wheel, the Passat has a very premium and elegant feel to it. It’s clutter-free but still boasts enough on-board technology to keep the fussiest of geeks occupied for hours on end. All-round visibility is excellent and it’s difficult to find fault with the car’s performance either. Acceleration through the six gears was both smooth and responsive and the diesel powertrain delivered plenty of bite with ample power on tap as and when required. 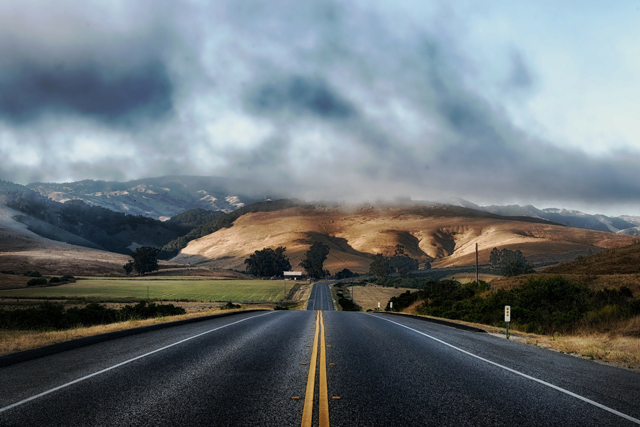 The road-holding is first-rate which means tight bends can be attacked with confidence and there is minimal road, wind or surface noise. That said; the test car was fitted with sound insulating glass (£310 extra). The driver can move through five different driver profile modes that change the car’s handling and driving dynamics with ‘sport’ really sharpening up the performance and eco delivering the best economy. The only slight gripe I had with the car was the heated steering wheel function which involves three button presses to initiate if you don’t require seat heaters as well. But that minor issue aside, the new Passat was a remarkable car to drive and is guaranteed to put a very broad smile on business drivers up and down the country. And with models to suit all tastes and budgets it seems certain that VW will see the Passat’s tremendous sales record continue to soar. As consumers we want it all! We demand beautifully crafted vehicles that are packed to bursting with technology. They must deliver great driving dynamics and be kind on the pocket too. So in fairness, car designers certainly have their work cut out meeting these high expectations, but the latest Passat with BlueMotion Technology is proof that these challenges can be met head-on and overcome. For the car can deliver great handling capabilities with a 0-62mph sprint time of 9.8 seconds and top speed of 132mph. But it can also achieve a very impressive 61.4mpg on a combined run. It’s a fact that some models that boast outstanding fuel economy are compromised when it comes to performance but that’s certainly not the case with this Passat. For the 2.0-litre diesel-driven 140PS engine delivers all the power you could wish for and the acceleration through the six-speed manual transmission is both smooth and responsive. The car simply glides along and then when you need that extra burst of speed there always seems to be ample power on tap. As one would expect from such an established model, the Passat looks fabulous from any angle with its long sleek streamlined body, 17-inch alloys, tinted windows, body-colours bumpers and stylish flashes of chrome trim on the window surrounds and front and rear bumper trims. The interior is equally impressive with a very premium feel to it. The test car featured stylish leather upholstery along with a host of techno treats to be explored. These include a touchscreen with DVD sat nav and DAB radio, rear view camera, a 30GB hard drive, SD card reader, Bluetooth connectivity, dual zone air conditioning, six-way electrically adjustable driver’s seat, cruise control and plenty more besides. There is ample room for five adults to stretch out in style and luggage limitations will never apply either as the generously-sized boot has a capacity of 565 litres which can be increased further thanks to 60:40 split-folding rear seats. Despite its lengthy dimensions, the Passat is remarkably agile and manoeuvring through busy city centres is made all the easier thanks to the excellent all-round visibility. The parking sensors are another plus-factor. But in all fairness, it is out on the open road where the Passat really bursts into life. The acceleration is beautifully smooth and the vehicle’s ultra-efficient suspension system helps to iron out the road’s creases along the way. The road-holding is flawless and this means tight bends can be attacked with confidence. The Passat boasts a comprehensive range of safety features, including anti-lock brakes with brake assist system and electronic brake pressure distribution, traction control, numerous airbags, electronic stabilisation programme, a driver alert system and lots more besides. And with an eye on the pennies, the car also boasted a number of features to help improve economy and help maximise fuel efficiency, such as battery regeneration, a gear shift prompter, and automatic stop/start function. All in all, the Passat is a super car that meets all needs. It is economical, dynamic and practical enough to be utilised as a business car clocking up the motorway miles, but its elegant styling and host of technical wizardry makes it ideal for parents who are bombarded with demands from fashion-conscious children. And with a price-tag of £23,795 (plus £1,735 in optional extras) it will also leave you on speaking terms with the bank manager. Versatility, practicality, capability and value are high on many estate car buyers’ wish-lists. They want a car that bears no resemblance to those load-lugging, box-like models that looked like they had been designed by a five-year-old. But they still want all the flexibility that an estate car brings to the party. Enter the Volkswagen Passat Alltrack with its sweeping lines and eye-catching good looks, along with a massive boot capacity of 603 litres with the seats up and 1,731 litres with the rear seats folded flat. The four-wheel-drive Passat Alltrack looks stunning from any angle thanks to its sleek design, smart alloys, matt chrome plated roof rails, twin tailpipes, body-coloured off-road bumpers and neat light clusters. 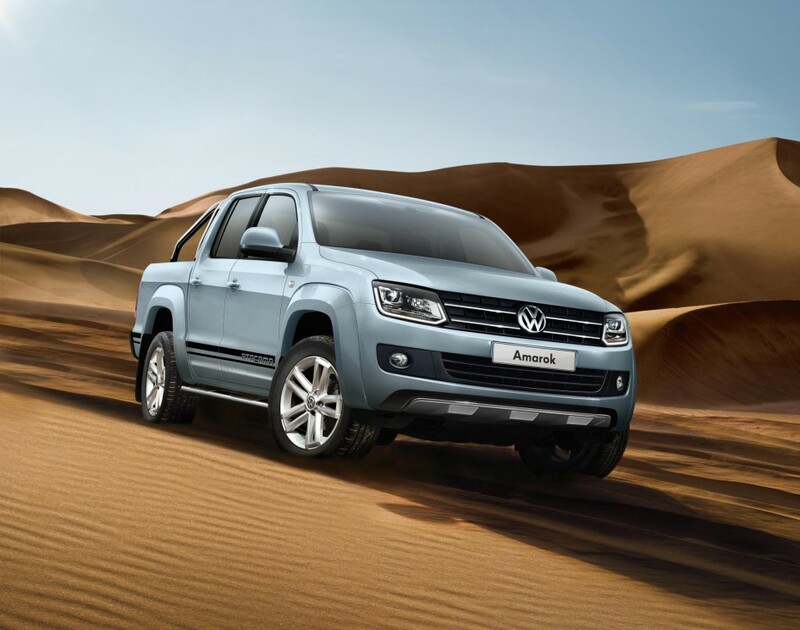 To cope with more demanding terrain, there is a toughened underbody, engine guard and side sills helping to protect the bodywork and the off-road suspension has also been raised. The interior is equally as impressive with a host of creature comforts fitted as standard. These include a highly efficient touch-screen DAB radio and sat-nav system, CD player with eight speakers, rain sensing wipers, automatic headlights, a multi-device interface with USB and iPod cables, Bluetooth connectivity, dual-zone air conditioning, cruise control, electric windows, stop/start technology plus lots more besides. Comfort levels are perfect for up to five adults with ample leg, head and shoulder space for back seat occupants and that massive boot, along with a number of handy storage compartments throughout the car, means there will never be any luggage limitations. So the Passat Alltrack ticks the looks and practicality boxes, but how does it handle when put to the test? The answer is incredibly well. The 2.0-litre diesel-powered engine helps the car sprint to 62mph from a standing start in just 8.9 seconds and it has a top speed of 131mph. Acceleration through the six-speed automatic gearbox is smooth and responsive with a constant supply of power on tap. There is very little engine or road surface noise and the ride is both smooth and comfortable. Economy is also impressive. VW claims the Passat Alltrack can achieve a combined fuel efficiency of 47.9 and I managed to see 45.2 on a lengthy test drive incorporating busy town centres, country lanes and faster moving motorways. The one downside of driving such a lengthy vehicle is parking, although the front and rear sensors do make the task much simpler. Safety features are comprehensive and include anti-lock brakes with brake assist and electronic brakeforce distribution, numerous airbags, traction control and plenty more. The test car came fitted with a range of optional extras such as an upgraded infotainment system, automatic distance control with city emergency braking system, premium leather upholstery with heated seats, an electric tailgate, a swivelling towbar and metallic paint. These added a further £5,345 to the original £31,760 asking price. All in all, the Passat Alltrack is a brilliant all-rounder. It handles well, looks the business, is packed with techno treats, has four-wheel-drive capabilities, it’s versatile, economical and even comes with a price-tag that won’t break the bank. Elegant, stylish, powerful and very economical – that just about sums up the stunning VW Passat Estate. 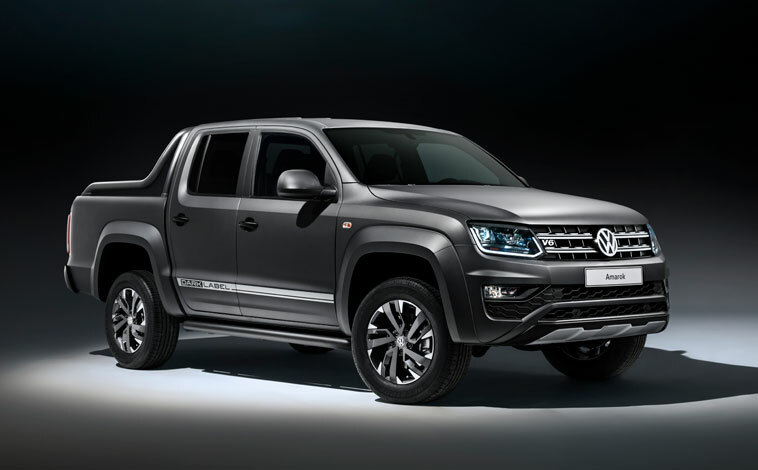 It looks great from all angles with sleek streamlining, tinted windows, 18-inch alloys, chrome window surrounds, body-coloured bumpers and flashes of chrome here and there, but that really is just the start. For the VW Passat oozes quality inside the bright and airy cabin. There’s bags of space for five adults to travel in comfort and the generously-sized boot means there will never be any restrictions on luggage either. Creature comforts are plentiful and include a panoramic sunroof, air conditioning, stop/start function, eight-speaker sound system with CD and MP3 compatibility, iPod connection, Bluetooth, parking sensors, cruise control and a list that simply goes on and on. But for me, gadgets and great looks aside, it’s the layout within the cockpit that is sheer style. All the buttons, levers and dials are perfectly positioned for ease of use. The speedo and rev counter are protected by a hood that prevents any glare on the windscreen and every single control is illuminated in a soothing red colour that is very distinctive and easy to read. Even the air vents have red markings to make them easier to operate in the dark. Admittedly, the vehicle is not cheap starting from £25,180 and the test model had a number of additional extras which notched up another £5.1k on the asking price. 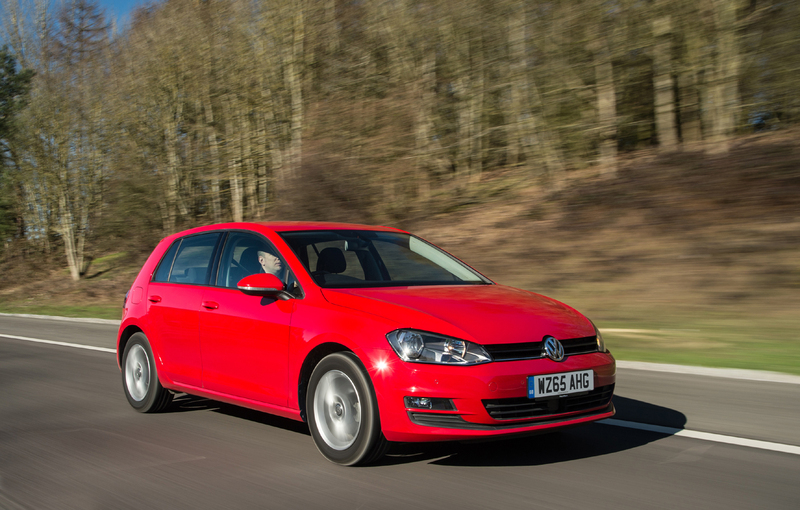 But in VW’s defence, there is an incredible amount of car for that outlay. If I were being critical I would suggest the seats should be automatically adjustable for that sort of money, but I am really struggling to find anything else to gripe about. And that’s because I took the Passat Estate on a 430-mile round trip in one day and still felt refreshed at the end of the journey. And more importantly, there was plenty of fuel left in the tank too. The Passat can boast a combined fuel economy of 54.3 mpg which is incredible for such a large vehicle driven by a powerful 2.0 diesel engine. The handling was superb as the car cruises through the six-speed automatic transmission. The road-holding was excellent and cabin noise virtually non-existent. And as one would expect, the Passat is crammed to bursting with top notch safety features such as anti-lock brakes with brake assist, electronic brakeforce distribution, electronic stabilisation programme, numerous airbags, and a whole lot more besides. All in all, the Passat Estate is the perfect car for anyone who drives long distances and likes a touch of quality in their lives. 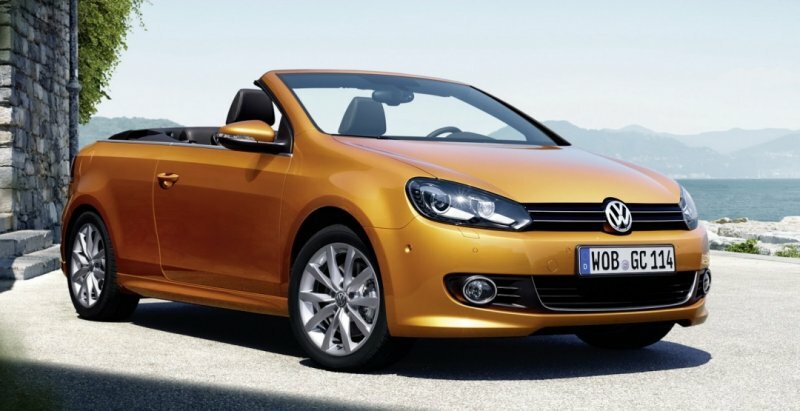 It’s not flashy, but it boasts a very stylish elegance and great fuel efficiency too. VW describes its Passat CC as a powerful presence and with its bullet-like streamlining, excellent handling and luxurious comfort, it’s hard to disagree with them. 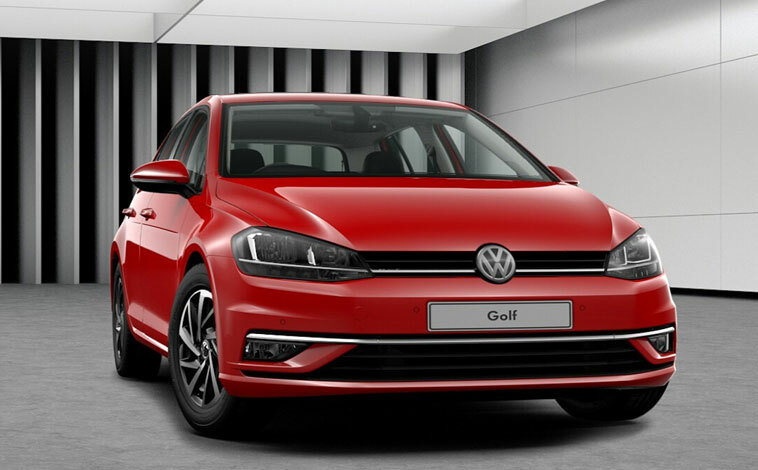 With distinctive lines which even includes streamlined door mirrors, a smart grille housing the VW badge and snazzy alloys, this car is guaranteed to turn heads. But somehow, it maintains its subtle qualities too. Other eye-catching models can often go a little bit too far and end up a tad garish – not so the Passat CC. It has a certain dignified feel to it. The level of quality touches throughout the vehicle seems almost endless. For example, it boasts Nappa leather seats, stop/start technology, dual-zone climate control, parking sensors, an excellent sound system compatible with all the modern devices which has eight speakers, touch screen sat nav and a whole lot more. From the second you take your seat behind the multi-function steering wheel, the Passat CC feels like it has been specifically designed for you. All the dials and controls are perfectly positioned for driver usability and, even after a lengthy journey, the level of comfort guarantees you will arrive refreshed. The test model was fitted with a 2.0-litre diesel-powered engine which boasts combined fuel efficiency figures of just over 60mpg – maybe, that’s an indication of just why the Passat CC is such a popular choice for business drivers who appreciate their quality of life but still want outstanding value for money. In and around town, the Passat CC cruised effortlessly and, despite its size, proved relatively easy to park (thanks to those sensors). I did find the all-round visibility a little limited at times mainly due to the vehicle’s streamlined design. But, for me, the Passat CC really burst into life out on the faster roads where it cruised effortlessly at higher speeds and held the road exceptionally well even on wetter surfaces. Cabin noise was virtually non existent and there is ample room for five adults to travel in comfort, along with all their luggage requirements thanks to the generously-sized boot. In addition, there are a number of handy storage options spread throughout the cabin too. VW has crammed plenty of top notch safety features into the Passat CC including anti-lock brakes, electronic stabilisation programme, a tyre pressure indicator, numerous airbags, traction control and plenty more besides. All in all, the Passat CC is the ideal vehicle for anyone who enjoys a touch of class in their lives and with this model priced at £25,780, it won’t break the bank either. With all eyes on the economy and the environment, Volkswagen chose the perfect time to launch its BlueMotion Passat with a fuel gauge that apparently refuses to budge. With its combined fuel figures of 54.3mpg, VW has tried every trick in the book to ensure the Passat BlueMotion is an irresistible buy. It has been designed to incorporate outstanding streamlining including modified cooling intakes, more efficient underbody airflow, lowered suspension and low rolling-resistance tyres. 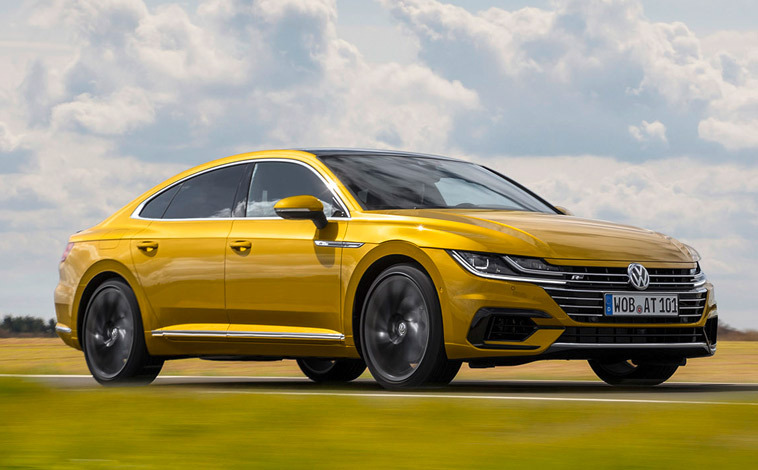 And the real bonus for Passat lovers across Europe is that this latest economically appealing model loses nothing in performance – in fact it boasts a higher top speed than other 1.9 models in the range. There is an abundance of first class technology throughout from the air-con and sat nav system to the cruise control and reversing camera. And the on-board computer system even recommends the best gear for maximum fuel economy – now how green is that? numerous airbags, a stability programme and an immobiliser and alarm to keep away intruders. Around town and out on the more open road the Passat performs excellently with its 1.9-litre engine offering ample power and acceleration. Visibility and comfort levels are very good and there is a massive boot area so you can transport just about anything, including the kitchen sink should you so desire. All in all, a fabulous ride and one that will continue to appeal to business drivers up and down the country.